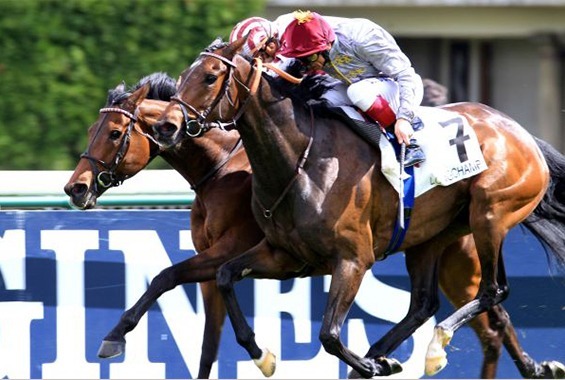 FOLLOW TREVE, mythic race horse becomes overnight star of the social media. Madame Christiane Head-Maarek successful French race horse trainer becomes a popular sports icon as the French public take courageous race horse TREVE to their hearts …..
TREVE, Winner again of the 2014 Qatar Prix de l’Arc de Triomphe, achieving a double victory in the race, something which had not been done since 1978! 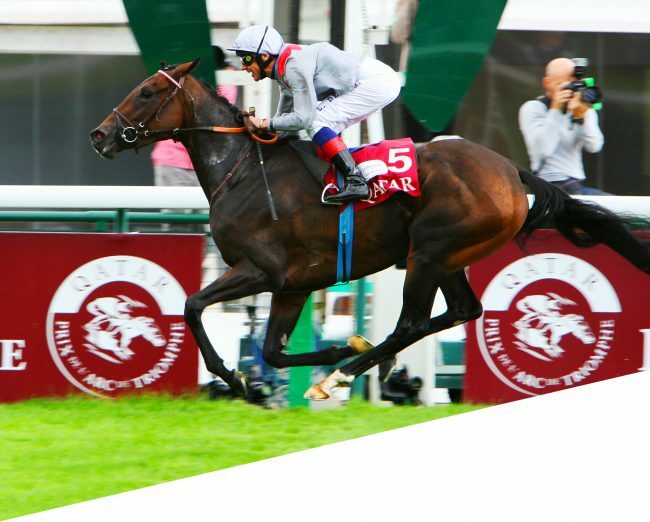 The Prix de l’Arc de Triomphe is a heroic race to win, up against the World’s best race horses & jockeys. 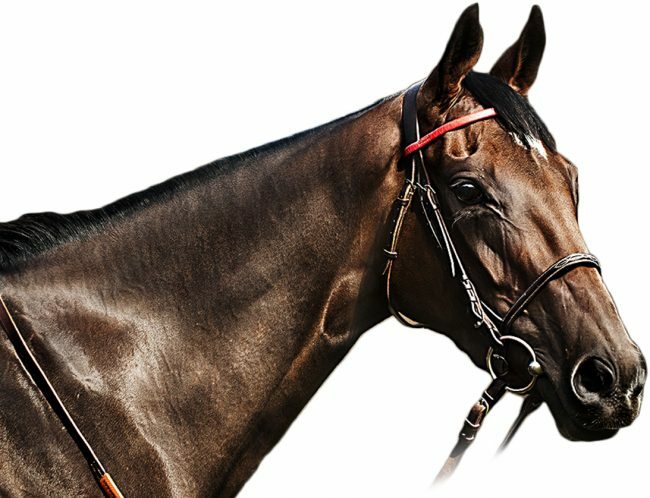 In 2015, Treve is attempting an historic feat: to win three consecutive Qatar Prix de l’Arc de Triomphe titles, and thus be crowned the best thoroughbred of all time ! 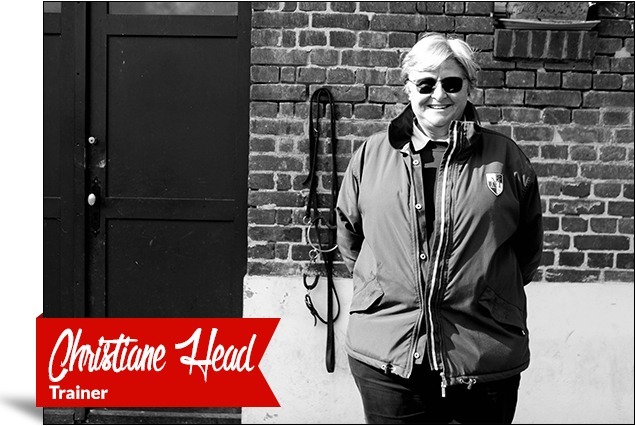 Christiane Head-Maarek reflects on her future plans. 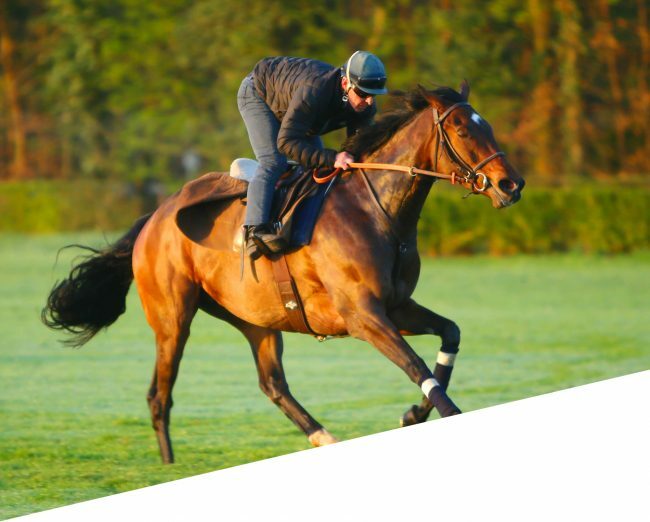 Coming up immediately is the auction of her star Yearling a full sister of TREVE, out of TREVISE and MOTIVATOR, the brilliant race horse well known to racegoers in England. The Yearling, LOT 176, will be auctioned during the Deauville Arqana Yearling sales in August 2015. 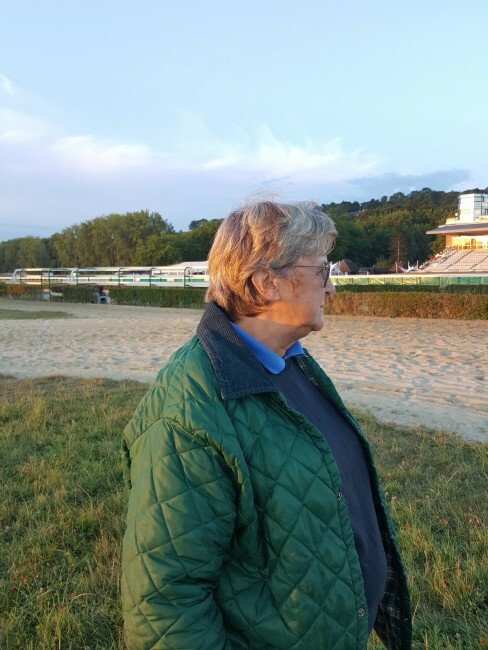 And also in the balance,Christiane Head-Maarek is pondering as to whether TROPHEE, half sister to TREVE returns from the USA to race in Europe ? 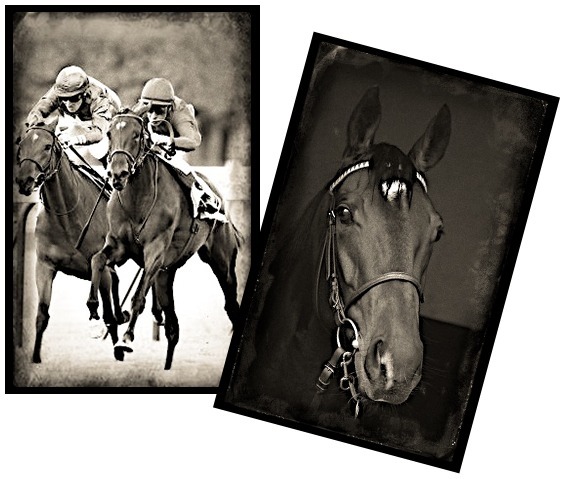 Next target: At 40,000 Likes, Treve’s fan club opens. google hashtag www. Follow Treve. Photos courtesy hashtag. www. 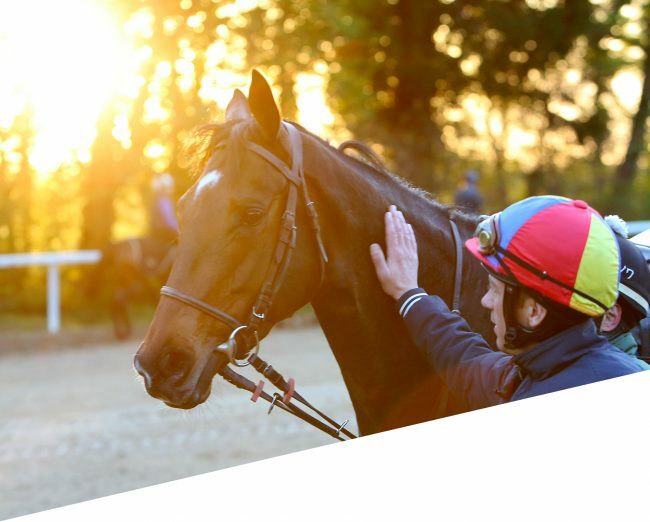 Follow Treve website. With Thanks. With thanks also to Madame Christiane Head-Maarek.